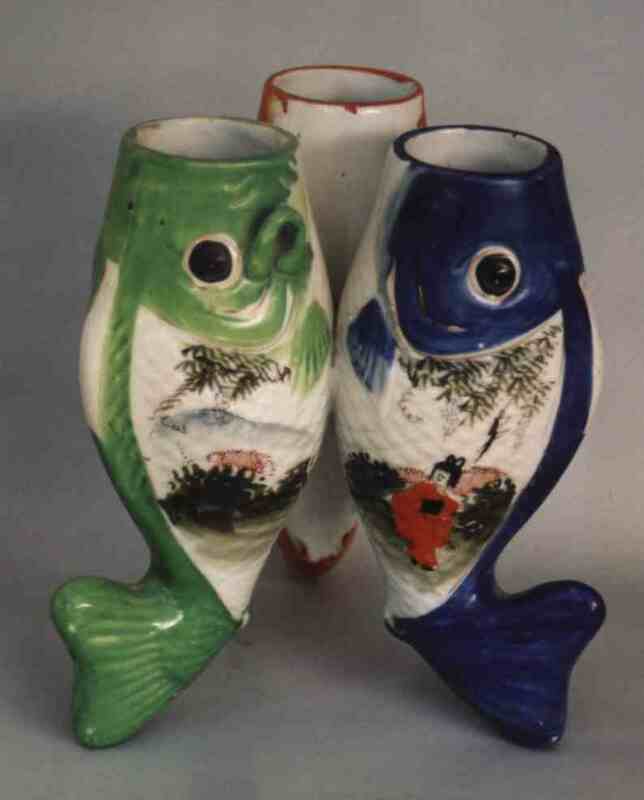 this is a vase of ceramic in the shape of three standing fishes with open mouths. It was bought in China by my grandfather in the first years of 20th century. The vase is 8 1/2 in. high (cm. 21).